ShopFloorConnect® OEE and Shop Floor Data Collection Software collects downtime and production efficiency data from every machine in your factory, displays it in real time, and produces indispensable manufacturing reports (including detailed OEE reports) in a variety of formats. This scalable and flexible production monitoring system is well-suited for manufacturers in a variety of industries, including discrete manufacturing, metalforming, metal fabrication, food, beverage and packaging, and provides superior OEE calculations that accurately report overall equipment effectiveness for the most complex manufacturing environments. ShopFloorConnect makes shop floor data collection easier than ever before. Our production tracking software provides machine downtime and manufacturing efficiency reports via a web browser and e-mail and can integrate with existing ERP systems. 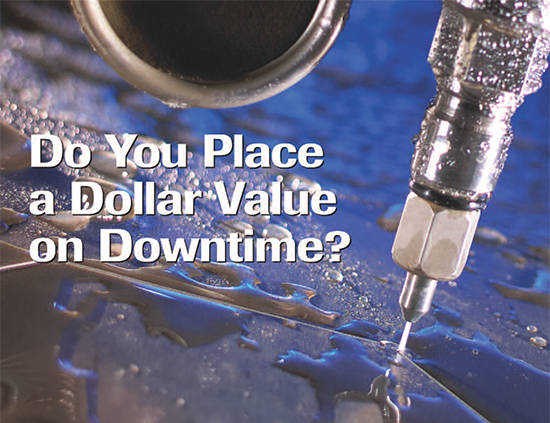 Learn more about this shop floor data collection software. ShopfloorConnect's Factory Viewer displays current machine status and production efficiency in real time on any web browser including mobile devices. Your manufacturing data, your way. Our software's browser-based reporting interface allows you to create production reports in a variety of formats and deliver them automatically. ShopFloorConnect machine downtime tracking automatically sends text/email alerts to specific recipients based on preset conditions from any machine. In addition to automatically counting parts and tracking machine uptime, the SMI 2 allows you to create a machine-specific downtime reason menu to enable the operator to indicate why a machine is stopped. 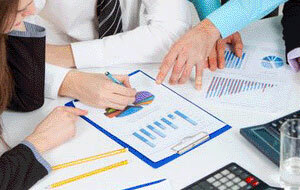 simplifies manufacturing data collection. It's easy to use and easy to install. The ShopFloorConnect Machine Interface (SMI 2) can be easily adapted to any machine. Installation is a snap, It requires only one or two commonly available electrical signals from the machine. 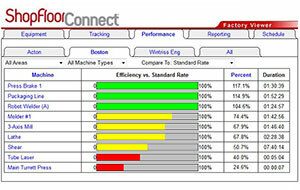 ShopFloorConnect is a shop floor data collection system from Wintriss Controls Group of Acton, MA. We have been manufacturing and installing electronic controllers on industrial machinery for over 60 years. We developed our first downtime data collection and efficiency reporting software product in 1985, and we've been perfecting it ever since. We have a unique skill set: Not only do we provide a robust and scalable OEE reporting product and an on-machine production tracking solution that is simple to install and user friendly, but our industrial controls experience gives us the expertise to seamlessly adapt our technology to your machinery.